Free Irish Film Fest Tickets! 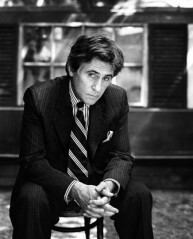 Gabriel Byrne in "Stories from Home." Photo courtesy Capital Irish Film Festival. The good folks at Solas Nua are giving our readers a chance at free tickets to the Capital Irish Film Festival’s closing night screening! The first 20 readers who order tickets using the code “welovedc” will be comped the regular admission fee (limit 2 tickets per person). I’ve been reading about this doc for about the last year and a half and I’m wondering when will we, who can’t get to these film fests, get to see it on TV, DVD or whatever or was it made to be shown at film fests only. What’s the deal here?